Gather information: You’re going to want to have all the needed documents and information ready to go. This includes permits, previous leases, bills, tax information, the title deed, past appraisals, environmental studies and more. Get this information together early because you’re going to need it later. Make the Property Shine: Now is the time to take care of deferred maintenance, move forward with landscaping projects, do significant cleaning and more. Just like with any real estate that’s headed for the open marketing, you want it to shine for your visitors and prospective buyers. Build Relationships: There’s nothing quite like knowing others who are involved in commercial real estate near you. Commercial real estate tends to be a small and somewhat limited niche in different markets. Having relationships and knowing others who are involved can help you more quickly find the right buyer. Know the Appraisal Process: Appraisals of commercial properties are notoriously unpredictable. Don't make assumptions about what an appraisal will come back at — and be prepared to work around figures you vehemently disagree with but are a reality nonetheless. Be Patient: Selling commercial real estate can at times be a slow process. Be patient, especially early on. Make sure you have everything lined up and prepared so you’re ready to move once the right buyer does come along. Consider Holding an Auction: When you auction commercial real estate, you often enjoy a faster sale and fewer fees, commissions and associated costs. Many don’t consider an auction of commercial property, but it just might be the way to get the best return on investment. When you’re interested in an auction for commercial real estate, Fortna Auctioneers can provide the expert guidance and service you need. We’re constantly working with property owners who are wondering how to sell a commercial property as quickly as possible and at the best possible return on investment. 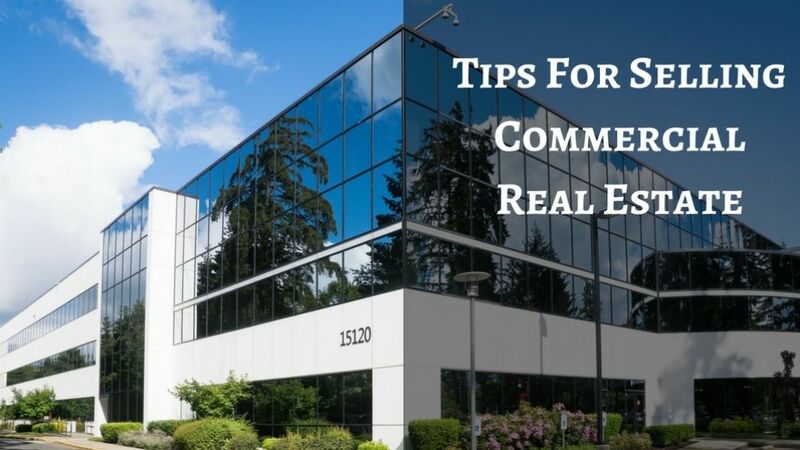 Trust in our knowledge and experience when you’re looking for commercial real estate tips and ideas for making the most of your sale. We are fully committed to delivering outstanding customer service while helping you sell your commercial property as quickly and as profitably as possible. Contact us today about holding an auction for commercial real estate.